Ben Stokes overcame injury and a brief trip to the pavilion as unbeaten half-centuries from him and Jos Buttler finally gave England something to cheer about against the West Indies. 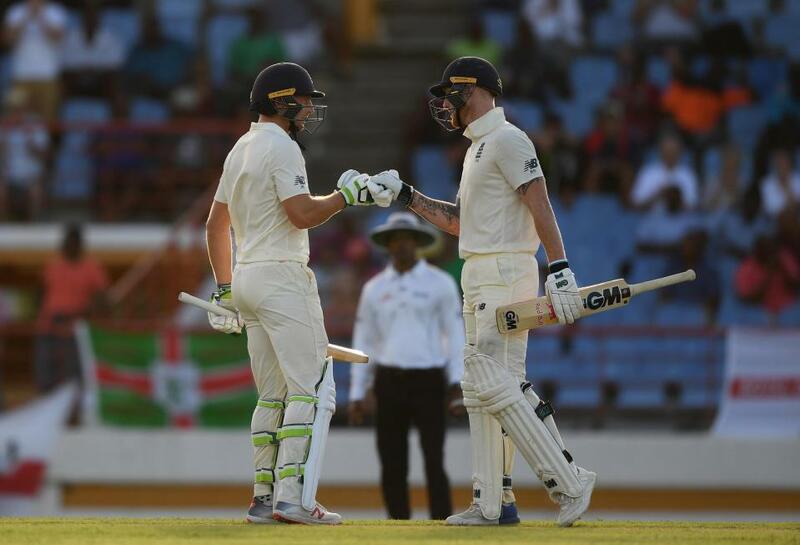 Seeking to avert a 3-0 whitewash in St Lucia, the tourists saw a revamped top order buckle in devastating fashion, reduced to 107 for four on the first afternoon, before the middle-order pair took the score to 231 without additional loss. 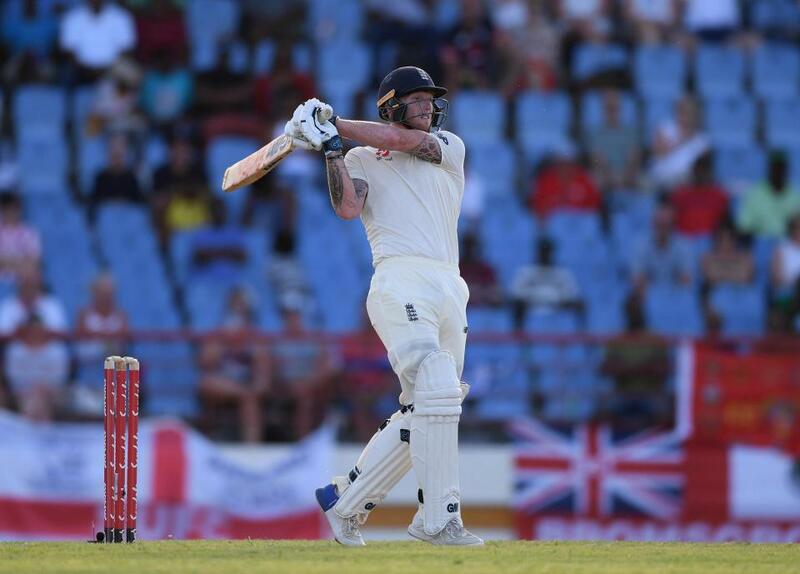 Stokes had to pass a late fitness test to even make the XI, after struggling with a badly bruised heel, and initiated the defiant fightback which unfolded in the evening session. His work appeared to be done on 52 when Alzarri Joseph clung to a fine return catch but replays showed the seamer overstepping and Stokes (62 not out) was summoned back to the crease having already left the field of play. Buttler, dropped on nought earlier, but turned his luck into a responsible knock worth 67no. 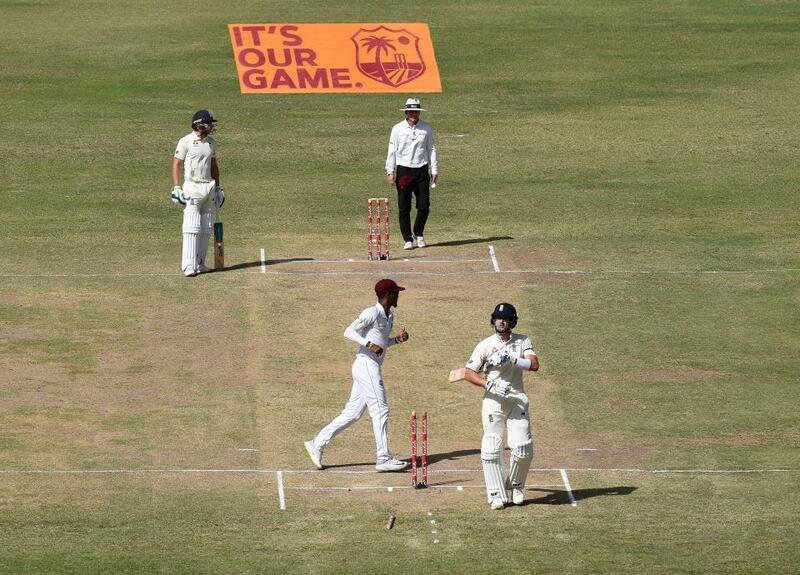 England had been inserted on a pitch billed as the quickest in the Caribbean and, though that proved a red herring, Keaton Jennings’ recall just one game after being axed still ended in failure. 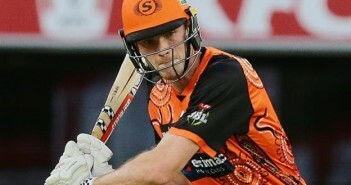 The Lancashire opener was palpably out of form as he scraped together eight runs. He could have been out twice in the same Kemar Roach over for just three, surviving a sound lbw appeal that the Windies declined to refer and then relying on Roston Chase’s bungled attempt to hold a thick edge. Former England captain Nasser Hussain described the innings as “cruel watching” on television and it ended in the expected manner, nicking off after feeling for Keemo Paul’s first ball of the match. Rory Burns (29) and Joe Denly (20) have points of their own to prove and had a handful of awkward moments on the way to a lunch score of 46 for one. Denly went particularly close, gloving Shannon Gabriel behind but just letting go of the bat first. England were outplayed throughout the afternoon session, coughing up three wickets for 68 runs. Gabriel set the tone with a fast, hostile and accurate spell but it was Paul’s introduction which made things happen for the second time. He went round the wicket and wide on the crease at Burns, who was struck on the pad looking for his favoured whip to leg. Umpire Kumar Dharmasena was not persuaded by the appeal, but would have cringed when DRS showed the ball flattening middle stump. Six balls later it was Denly’s turn to fall lbw, bested for pace by Gabriel to leave his side 69 for three. That left Joe Root and Buttler at the crease, but the England captain and his deputy both found themselves beaten on nought. Root had a couple of wafts but Buttler was luckier, following a Gabriel outswinger that should have been taken at second or third slip but was pawed to the ropes instead. Root began to settle for the first time in three Tests, a crisp cover drive and a back cut coming out of the middle, but failed to reach tea. Drawn out by a shorter, wider ball from Joseph he failed to move his feet and nicked softly to Shane Dowrich. Stokes had just six when he survived a tight lbw in the opening seconds of the final session and responded by upping the ante. Although careful not to play rashly he was unforgiving to anything loose. One four was thumped straight down the ground, a second slashed behind square and another pounded past cover. When a pull brought up the 50 stand, he had been responsible for 41 of the runs. The flurry of activity drew Buttler out of his shell too, most pleasingly with an authoritative swivel pull off Joseph, and the duo put on 86 before Stokes’ reprieve. Joseph deserved more for his sharp handiwork but was guilty of an unforced, costly error in footwork. Buttler topped up his score during a tame mini-session before stumps, as England put together their longest innings of the tour.